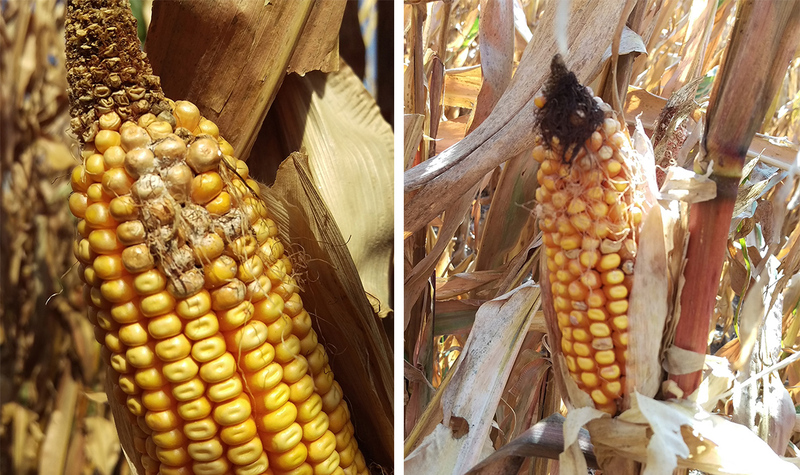 Stories in this week's CropWatch look at factors that may affect 2016 corn yield, including ear and stalk rots. Harvest 2016 -- When Corn Yields are Below Expectations. A review of 2016 growing conditions sheds light on some possible factors affecting corn yields. Ear and Stalk Rot Diseases Becoming More Common in Corn Fields. What to look for and manage post-harvest. What's Causing Black "Dusty" Corn? Much, but Not All, of Nebraska Experiences Hard Freeze. See table of temperatures. Mark Lynas Share his GMO Journey at Heuermann Lecture. An environmentalist and anti-GMO activist, Lynas publicly changed his position to a pro-science stance after delving into the research. Cost-Share Funds Available to Aid Organic Certification. Apply by Nov. 1.